More than 200 soldiers from the New York Army National Guard departed Monday for a nine-month mission to Ukraine. The soldiers — most of whom are from 2nd Squadron, 101st Cavalry Regiment, stationed at Niagara Falls Air Reserve Station in Niagara Falls, New York — will join the Joint Multinational Training Group-Ukraine, according to a press release from the New York Division of Military and Naval Affairs. Also deploying with the group are soldiers from the 27th Infantry Brigade Combat Team headquarters and other National Guard units from across New York. The training group teaches tactics and staff work to five Ukrainian army battalions at the International Peacekeeping and Security Center, near Yavoriv, Ukraine. They are joining troops from Canada, Denmark, Lithuania, Poland and the United Kingdom on the training mission. “While this mission to provide training and support for Ukraine’s armed forces supports our Army’s engagement in Europe, our real success will be built on the efforts of our Army Guard soldiers and leaders who again answer the call,” said Col. Dennis Deeley, commander of the training element. The training will focus on defense and security missions, according the press release. Other units are also working to modernize the Ukrainian Army’s doctrine. The ultimate goal is to mirror the training U.S. Army units receive at places like the National Training Center at Fort, Irwin, California, prior to combat deployments, according to the press release. 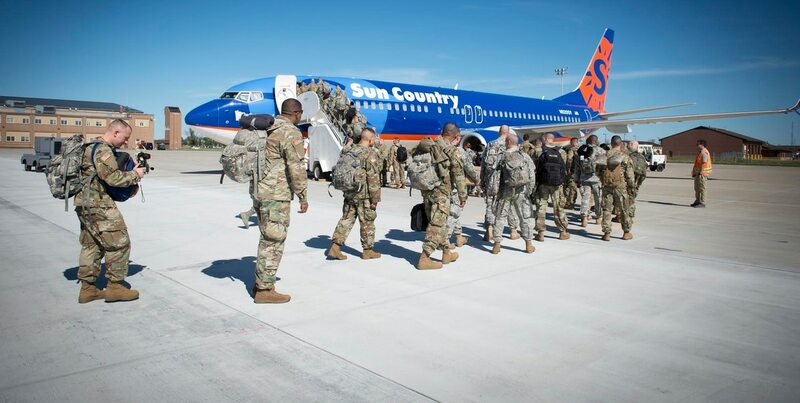 The soldiers flew to Fort Bliss, Texas, Monday. They will then continue to Germany for a month of pre-deployment training at the 7th Army Training Command’s Grafenwoehr Training Area, according to the press release. The New York National Guard soldiers will replace those from the Oklahoma National Guard’s 45th Brigade Combat Team who have been in Ukraine since January.